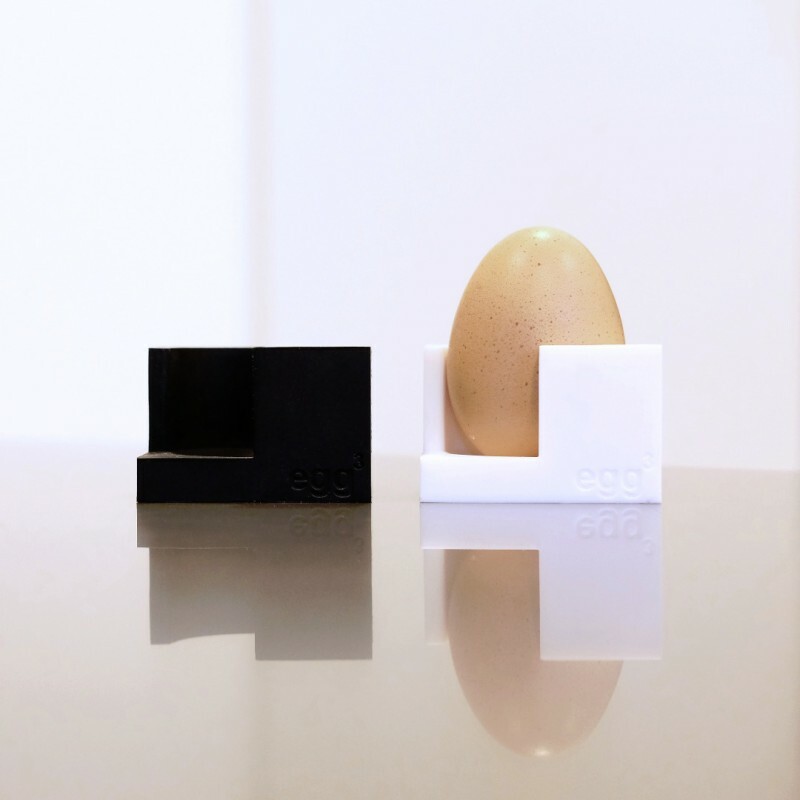 inspired by pattern and architectural form and designed as a set of two egg cups to create a cuboid when stacked together. 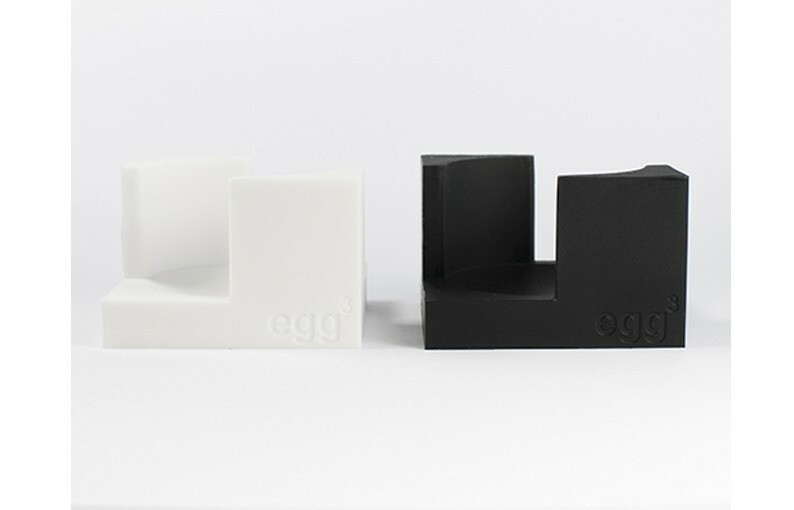 egg³ is moulded in soft silicone rubber that holds any size egg securely, with a non-slip base for added stability. 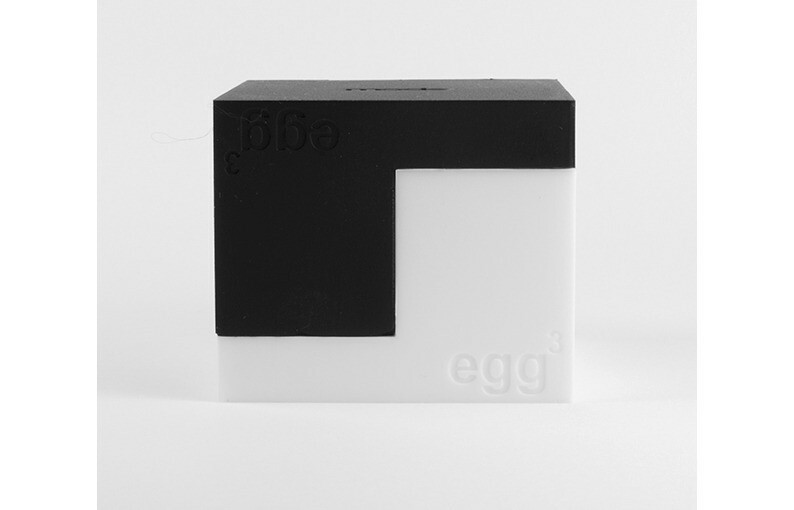 the bold design only reveals its function once it contains the humble egg. 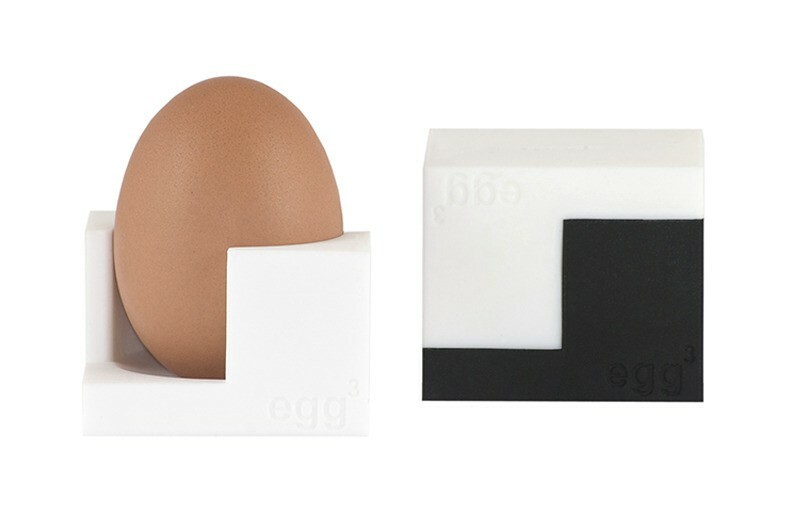 colours: each egg³ has 1 white and 1 black egg cup.